Official images of the all-new Air Jordan 33. The Air Jordan 33 will hit retailers once again tomorrow, November 29, in an all-black colorway perfect for the winter months ahead. 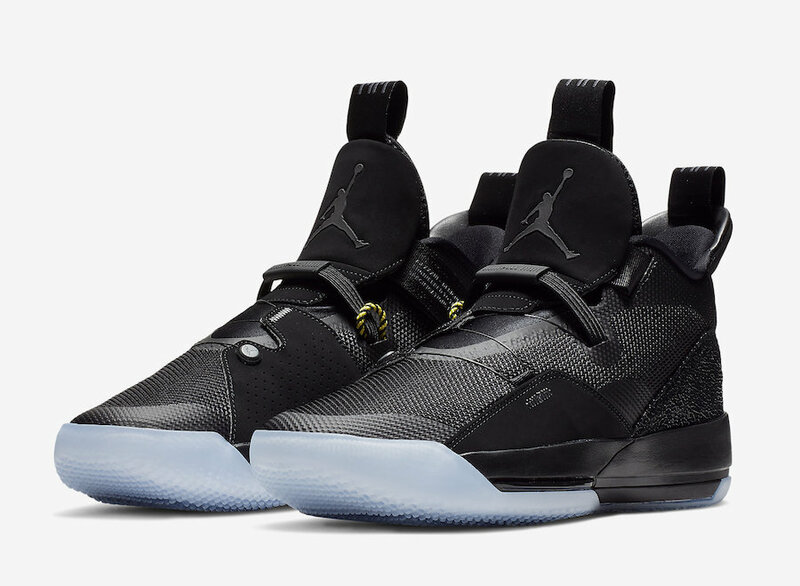 According to Nike, the “Utility Blackout” Air Jordan 33 is inspired by the brand’s history of stealth-inspired colorways. With the exception of red stitching and an icey blue sole, it’s all black and ready to hit the court. The Air Jordan 33 is the first Air Jordan basketball shoe to feature Nike’s FastFit technology. FastFit removes laces and introduces an all-new system for containment on the court, an innovation designed to provide ultimate lockdown. Like all of the Jordan models post the AJ30, the 33 also features subtle design cues from the past. The window to the tightening system mimics the original Air window, and the use of “Nike Air” on the heel tab is a reflection of the III, IV, V and VI. The extra-large tongue is also the perfect canvas for a Jumpman — just as it was when Tinker Hatfield debuted the logo on the Air Jordan 3. Meek Mill Talks Pushing For Criminal Justice Reform On "Ellen"